If you've ever gone to sleep hungry and then dreamed of chocolate croissants, the idea of fasting may seem completely unappealing. But what if the payoff for a 16-hour fast — which might involve skipping dinner, save a bowl of broth — is a boost in energy and a decreased appetite? This is what we've experienced as we've tried out the so-called 5:2 diet. It's an intermittent fasting approach that, as we've reported, has been popularized by books by British physician and television broadcaster Michael Mosley. The diet calls for two days per week of minifasting where the aim is to go a long stretch, say 14 to 18 hours, without eating. During these two fasting days, you also eat only about 600 calories, give or take. But here's the easy part: The other five days of the week you forget about dieting and return to your normal pattern of eating. The fascination is what researchers say may be the broader benefits. Scientists are looking into how fasting may help control blood sugar, improve memory and energy and perhaps boost immunity. A study by researchers at the University of Manchester found that when overweight women followed a 5:2 approach, they lost more weight and body fat and improved their insulin resistance compared with women who followed a more traditional diet of limiting calories seven days per week. 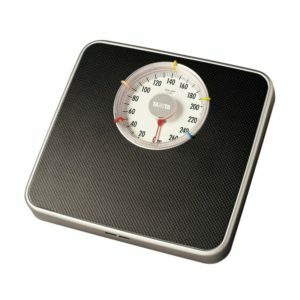 One explanation for the success of the 5-2 dieters could be that a day of minifasting can lead to a diminished appetite. As Allison reports on All Things Considered, she found that she's just less hungry the day after a fast. Mark Mattson, a researcher at the National Institute of Aging, says when we go without food, the body uses up its stored glucose, the basic fuel for the body, and starts burning fat....During fasting, he says, fat can convert to compounds called ketones, "which have beneficial effects in making neurons more resistant to injury and disease." There may be an evolutionary explanation for this because humans (and other animals) have fasted intermittently for much of our time on Earth, after all. As a recent paper in the Proceedings of the National Academy of Sciences notes, "The most common eating pattern in modern societies, three meals plus snacks every day, is abnormal from an evolutionary perspective." Longo and other experts gave Eliza some of their other tips on how to do it right: - Fasting is easier with a buddy. - On a minifast, choose the food you do eat carefully. Researchers recommend high-protein, high-fiber foods. Avoid refined carbs and sugar, which will spike blood sugar and may leave you hungry late in the day. - To minimize temptation, stay out of the kitchen and away from food establishments. - Try a pattern of weekly intermittent fasting for at least a month. Studies have shown that a long-term lifestyle change (and the benefits associated with it) is more likely for people who can stick with the diet for at least a month. And tolerating some hunger gets easier the longer you do it. - Don't be surprised if there are some side effects, like trouble sleeping or gastrointestinal issues. Next article:Does Your Sofa Contain Flame Retardants?